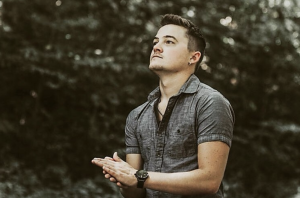 After releasing a smash hit with Jason Aldean in 2016, rising country artist Jordan Rager has spent the last few years taking time to discover who he is as an artist and what his sound should be. Now, he’s back with new music, having released two new songs in 2018, and plans to release even more sometime this year. 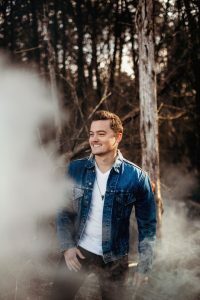 I got the chance to talk with Jordan about how he first got started making and performing music, what made now the right time to release new music, his single “Georgia Boy” and so much more. Keep reading to see what he had to say. I always loved music from a young age. My mom has pictures and videos of me sitting in front of our living room tv, watching music videos and singing along when I was little. I started singing in front of people when I was 11 at church, and then my first show was when I was 14. From the first time I was on stage, I was hooked. Then, once I started playing guitar and trying to write my own songs, it was all over. I knew making music was what I wanted to do with my life. That first time I was on stage when I was 14. 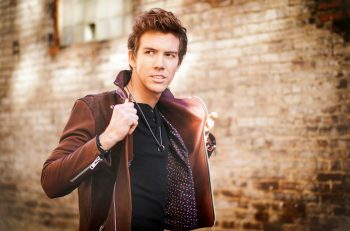 I remember I came off stage and immediately told my mom, “That’s what I wanna do with my life.” Once I started to learn the names of the songwriters and started writing my own songs, I fell in love with the storytelling aspect of country music. That’s when I realized I didn’t want to just sing the songs. I wanted to write my stories and share them with people. You’ve had a chance to work with some big names at the start of your career. You released a duet with Jason Aldean and toured with Justin Moore. What did you learn from those guys? Both of them taught me so much. Touring with Justin taught me how to treat people on and off stage. I would sit at front-of-house, by the sound board, every night and watch his show to see how he interacted with the crowd on-stage, and then I would pay attention to how he treated people behind the scenes as well. With Jason, the biggest thing I learned is to find your sound, find your style, stick to your guns, and never take no for an answer when you believe in something. What made now the right time to release new material? What did you learn about yourself, both personally and as an artist, in your recent time off? 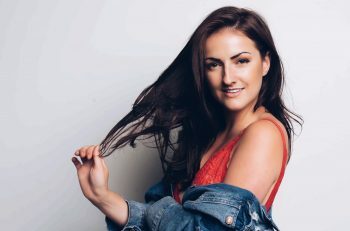 After spending a few years of focusing on writing and recording new music, I feel like I have a much better grasp on who I am as an artist and as a songwriter. Definitely more so than when I first came to Nashville because before, all I knew was I liked writing and singing. Now I know what I want to say in my songs, what I want to sound like, what I want to look like, etc. I think it was really important for me to figure all that out before moving forward in my career, as is the case with any new artist. One thing I always want to be is honest. I want people to feel like they’re getting to know me when they listen to my music. I want them to find their own experiences in my songs. That’s what the guys and girls that I look up to did, and that’s what I want to do with my music too. Your newest single is “Georgia Boy” and it’s written by Michael Whitworth, Andy Albert, and Dave Pittenger. What about the song do you love? I’m originally from Georgia and the song encompasses everything I love and miss about my home state. It’s about being proud of where you’re from, which I definitely am. I related to the lyrics as if I would’ve written them myself, which is rare, and also how I knew I had to be the one to sing it. Since you didn’t write the song, what was the process of acquiring it? Did someone send it to you or did you hear it and immediately go, “I want it”? All three writers are friends of mine. According to them, while they were writing it Andy said, “Rager is the perfect person to cut this song” and he was right. From the very first listen, I knew it was something I wanted. I couldn’t be more grateful to those guys for allowing me to be apart of this song. Were there any major changes made to the song once you got into the recording studio, whether it be lyrics or something sonically? Or did you even have that power since, technically, it’s not your song? Originally, the song’s bridge was a repeated first verse, but we were able to work out a new bridge that really brought the song home for me (no pun intended). 2018 saw the release of two new songs. Do you have any plans to release an EP or a full-length project soon? Absolutely. Like I said, I’ve spent a ton of time working on new music the last few years, and recently I’ve been recording the best of those songs. I can’t wait for everyone to hear them, and they will be released sometime this year. As an up-and-coming artist, you have to spend a lot of time on the road playing shows and getting your name out there. What’s the best part about spending so much time on the road and the worst part? What are some of your favorite cities to visit and play a show in? There’s a lot of stuff behind the scenes of the music industry that people don’t always see. It’s not just writing songs and singing them on stage. It’s a grind at times. Especially when you’re coming up. You spend a lot of your time in a van, or sometimes your own vehicle, driving long hours between gigs, not knowing what to expect from show to show. All of that goes away when the lights come on and you hear a crowd sing your song back to you. Like I said before, it’s the greatest feeling in the world and it makes the grind so worth it. As for my favorite places to play, I always love playing in my home state of Georgia. Chicago is always a blast. Boston. I’ve played a lot in the southeast (Alabama, Florida, the Carolinas, etc.). Every time I come back there’s always a bigger crowd, which is another thing that makes me forget all the crud artists and musicians have to deal with to chase this dream. It’s a dream job and the good far outweighs the bad. What are some music industry-related goals or benchmarks you aim to reach in the next couple of years? I’ve played sold-out shows before but never as the headliner, so that’s definitely up there at the top of my list. I’ve yet to have the chance to hear a song I wrote played on the radio, and that would be a dream come true. And also to have a number one song (either as a writer or as an artist). Of course, I want to release this new music and continue to meet people and hear their stories. Baseball. I love all sports but I follow baseball religiously. Like more than an average person should. Right down to the stats, numbers, trades and financials of the teams. It’s an obsession, really. For more information, you can visit Jordan’s website or follow him on Facebook, Twitter and Instagram. Next article Is Natalie Eva Marie entering the Celebrity Big Brother house?